When the boy was born as the ninth child of a poor yet pious couple in the port city of Busan in 1962, no one knew what he would do for his fellow human beings later. He was a curious and jovial boy and that didn�t change even after he lost his father at the age of nine. His mother struggled hard to rear Tae-seok and nine other children by taking sewing work in Jagalchi Market. Poverty failed to dampen his spirits but taught him how ruthless it could be. Upon graduating from a high school in Busan, Tae-seok entered a medical college to the exultation of his mother. ``I wanted to be a Catholic priest, but my mother opposed it strongly. Since she already had a priest son, she said, she didn�t need another. So, I went to medical college,� he said in an interview. Becoming a doctor meant and means a life of material affluence in Korea whether the case is true or not. ``It was the happiest moment of my life. I wouldn�t have been happier if he had become the nation�s president,� his mother said to a television crew later. Since all healthy, normal young men were legally required to serve in the military then as now, Tae-seok went into the barracks as an army surgeon after finishing medical school. While in uniform, he again heard the inner calling to become a priest. As soon as he completed the mandatory national service, he joined the Catholic Salesian Family and was enrolled in the Gwangju Catholic University Theological College. His mother didn�t object this time. ``If that is what you choose, go ahead. You are a man now,� she said. While searching for the best way to be a doctor and priest, he went to Rome in 1997 and happened to meet a few missionaries from Kenya and Tanzania. He went to Africa with them and stayed a short while in Tonj, southern Sudan, where he visited an impoverished village of a Dinka sub-tribe and a colony of Hansen�s disease patients. He returned home with a resolve to go back after ordination. He was ordained as a priest in Seoul in June 2001. In November, he flew to Tonj. Since then he saved or changed thousands of lives in Tonj, living 24 hours a day as a doctor, teacher and musician. The villagers affectionately called him Father John Lee. He built a clinic where he treated 300 patients a day. For those who couldn�t come to his clinic, particularly the Hansen�s disease victims, he drove his own jeep and paid personal visits. The next thing he did was build a school for the children and youth. ``I sometimes wonder if Jesus were here, what he would do first. Build a school or a church? I cannot but think he would build the school first. A school that teaches love like a church, a school that is so full of love that students think it is their own home,� he wrote in his book, ``Would you be my friend?� The book was published in May 2009 while he was fighting against cancer of the colon and liver. While running the school he built with the help of students and villagers, he taught math and music. A self-trained musician, he already knew how to play the piano and the guitar before going to Tonj. He even wrote a song titled ``Meditation� when he was a junior high school student. In Tonj, he found music to be a great healer for the children and youth in desperate conditions. Sudan became independent from Egypt and Britain in 1956, yet suffered 17 years of civil war and subsequent conflicts between the North and the South. He learned to play wind and other instruments by himself and then taught the youngsters who later formed a 35-member brass band. In 2008, during a rare and brief holiday in Seoul, he was diagnosed with cancer. He wanted to go back to Tonj but his family and friends appealed for chemotherapy. Before he passed away on Jan. 14 of this year, he spoke his last words in English, ``Don�t worry. Everything is going to be all right,� as if talking to his friends in Tonj. 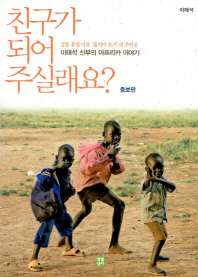 The Korea Broadcasting System (KBS) aired a documentary of Lee�s life in Tonj under the title of ``The Schweitzer of Sudan� last April. The documentary was made into a film, ``Don�t cry for me, Sudan,� and was shown at local movie houses recently. I appreciate KBS� efforts, but I don�t like the title much. Schweitzer and Lee were different in many ways. Lee died at the age of 48 while the Franco-German theologian-physician lived to 90 years. The greatest difference might be their attitudes toward the African people: Schweitzer was often accused of showing a patronizing attitude toward Africans; Lee was a Tonj man to the bone. The Tonj people say he was a father and friend and will remain so forever.